Rajasthan is a popular destination India that gets extensive coverage in foreign countries. Palaces, Desert Camping, Festive colors, Safaris, Fairs, Religious circuits; the state packages everything that ‘The Land’ has to offer. Rajasthan has one of the best road and air connectivity in the country and tempts many in to taking road trips across the state. The blog below, authored by my daughter Rashmi, seeks to capture the beauty of Rajasthan through her eyes and words. The trip was organized towards the closing stages of the tourist season in the month of March. The weather is warmer than usual during the day but the evenings are pleasant with the hangover of winter. This road trip across Rajasthan was done over a period of 7 Nights and 8 Days. In Part 1 of the road trip, we covered Udaipur. In Part 2 of the road trip, we covered Jodhpur and Ranakpur. 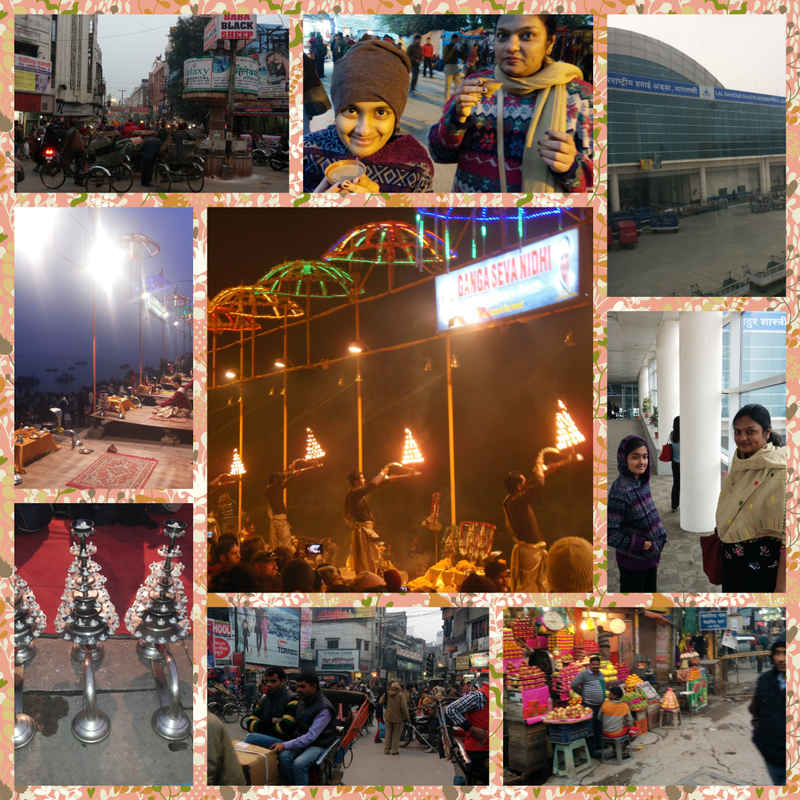 Part 3 of the road trip was the experience from Jodhpur to Jaisalmer. Our next destination was Nagaur en route to Jaipur. The distance between Jaisalmer and Nagaur is about 325 Kms to be covered in a duration of 5 hours. A Haveli homestay was our primary attraction and we made it a point to experience the stay. It was another day with the start of a drive from Jaisalmer to Nagaur, which is a stop between Jaisalmer and Jaipur. Since the drive from Jaisalmer to Jaipur is almost about 10 hours which is very long, we broke down the journey at Nagaur which is halfway between Jaisalmer and Jaipur. We started off our day with a hearty breakfast at Suryagarh, in the restaurant, which serves authentic Rajasthani delicacies. There are a few items that are mostly present at every hotel for breakfast like eggs, paranthas and a lot more things…This place also had the traditional sweets of rajasthan and the authentic Dal Pakwaan which is is also known as lentil crackers..We had a yummy breakfast and headed to the reception to check-out. We had a last few glimpses of the spectacular resort and finally left the property with a vote of thanks to all the staff who work hard day and night to keep their guests happy. Next, we had a drive from Jaisalmer to Nagaur which was about 5-5.5 hours. We didn’t have any stops in between our journey..We straight away went to our resort which is a part of a fort that has been restored into a resort. Our resort was Ranvas at nagaur, which is a decent 4 star property. The environment is filled with plants, bushes, birds and trees. During our stay, the resort seemed to be quite empty but it had a vip guest staying, Mr Amit Shah, The president of the nation’s ruling party BJP. He had come for some program to Rajasthan, hence, a few of his people were also staying at the resort. It was almost afternoon by the time we reached our resort. We rested in our room for the resort of our afternoon, which was large and very spacious. Our room was built in a typical earthern style with all modern amenities. The place is filled with a long history and rooms form havelli’s here. There were like 2 rooms sharing a common garden with a big swing , to form a haveli. Our haveli was known as “Shekhawat Ji ki Havelli”. The rest of the afternoon was spent in relaxation, surfing and freshen up services given by us to ourselves! We then went out and roamed around the resort, at aroun 6 pm and took some wonderful pics. Check them down below! We also got a chance to see some beautiful peacocks in the garden, with their royal colurs and sweet voice. It was also a coincidence to meet the manager of the resort who was on rounds. He was the one who told us about Mr. Amit Shah staying in their resort. We had a little talk with him and just saw the whole property which also included the fort, a part of which was under renovation, and also the resort store, which was unfortunately closed for the day. Then, we just sat down around the restaurant and chit-chatted and did some surfing on the net and then had dinner in the restaurant, which was facing the front of the property. The restaurant was empty except for some people who came a little later, by the time we had finished(9pm). For dinner, we ordered some lime juice to drink, tandoori roti, ker sangria(desert beans), Peas pulao and some dal makhni. Our dinner was light and filling. It is always a habit to give a bowl with water and a slice of lemon in it at the end of every meal, at an indian restaurant. But in terms of this, the restaurant was pretty unique. They did not serve the above but got a bowl of water for each of us and added a capsule like thing into it in front of us, which immediately turned into a small sized towel that could be used to clean our hands. This really surprised us and we appreciated the hotel’s thinking for such a unique idea..
Then, we headed back to our room and got lazy..Me and my grandfather watched our missed episodes of our favourite tv programs on the ipad, and then talked a litte & dozed off for the rest of the night! Gotta early start tomorrow! Getting there – Nagpur can be accessed easily from Jaipur which has a well serviced airport. Jet Airways, Air India, Indigo and Spicejet are airlines offering connectivity to Jaipur. Nagaur also has a railhead and Indian Railways offers convenient trains from Jaipur. Another place of significance for Buddhists is Sarnath which is about 8 miles (13 kms) from Varanasi. 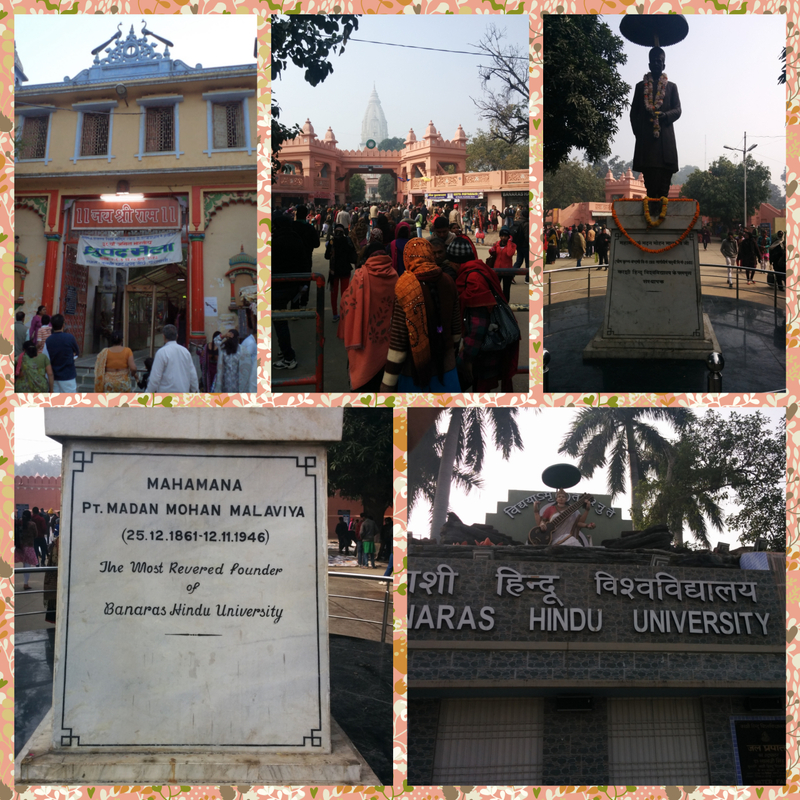 This is said to be the first stop of Buddha after attaining enlightenment at Bodh Gaya. 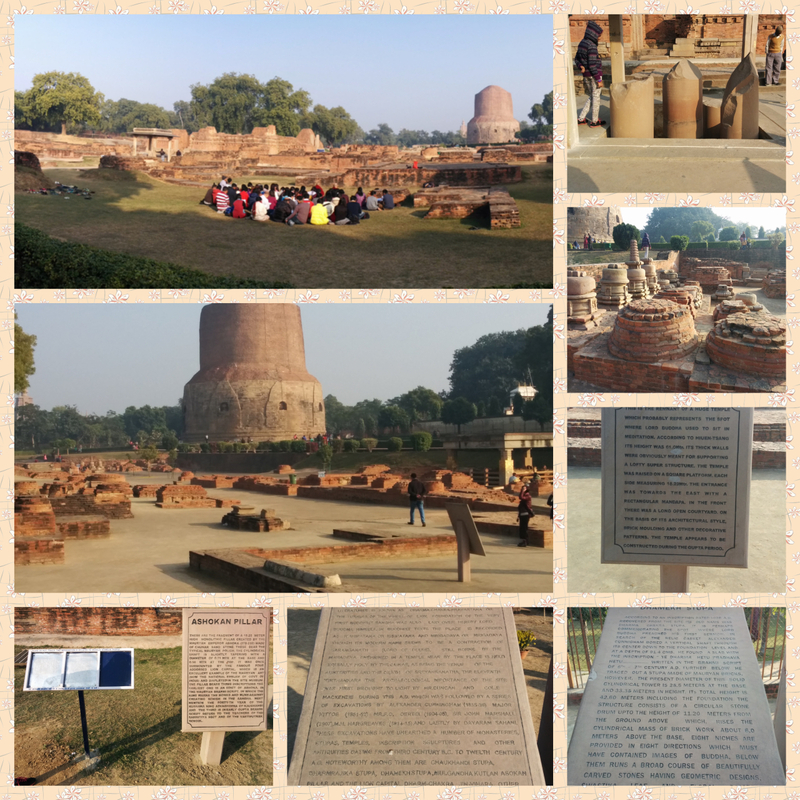 It is at the Deer Park in Sarnath where Buddha is said to have first taught the Dharma. Sarnath along with Lumbini (Nepal, 190 miles from Varanasi), Bodh Gaya (155 miles from varanasi) and Kushinagar (144 miles from Varanasi) are holy to Buddha’s followers. The Ashoka Pillar houses the Ashokan lion capital and became the National emblem of India and National symbol on the Indian flag. Though the pillar was broken during the Turk invasion, the base of the pillar remains where as the portion containing the emblem is housed in the Sarnath museum nearby. Groups from Thailand, Japan, Vietnam and buddhists from other countries assemble at Sarnath and practice buddhist chanting and meditation. The museum and park have an entrance fee while children under 12 are free. You can avail the services of a qualified guide right before the entrance. Charges range from 150 – 200 Rs and it is advisable to fix up before beginning the tour. A good 2 – 3 hours will set you up for a wonderful evening. Before hitting the food trail, pay respects to Lord Hanuman at the Sankat Mochan (reliever of troubles) Hanuman Mandir. It is said that Tulsidas (Author of Ramcharitmanas, an Awadhi version of the sanskrit epic Ramayana) had a vision of Lord Hanuman at the place where this temple stands currently. Walk on the carpeted pathway to the temple (helps you beat the heat and cold alike) and watch out for the monkeys. They jump around on the asbestos sheets lining the temple precinct and some of them may end up hassling you for food in case it is visible in your hands. There are hundreds of Hanuman Chalisa books (40 verses in praise of Lord Hanuman), prayer beads, prayer notes hung on the walls of the temple. The devout pick up a book, say their prayers, prostrate, place the book back and walk back after the day’s meditation and prayers. Spend time, speak to the priests, the flower sellers and others about the historical significance of the temple. It is important to note that the idol of Hanuman in the temple faces Lord Ram whom Hanuman dutifully serves. The food scene in Varanasi is tantalizing. The restaurants in the hotel where you stay can offer you a few options but the streets offer you unlimited options Start with the Thandai on offer at Godowlia chowk; there are atlas 500 shops selling this concoction (several dry fruits, seasonal fruits, milk and essence) in Varanasi. Vendors beckon you to their small outlets and give you an array of options to choose from. For the adventurous few the shopkeeper ventures to ask you if he can add a small ball of Shivji ki Prashad (offerings to Lord Shiva) which you may know as Cannabis. Extremely popular during the day of Maha Shivratri (Lord Shiva’s night). A few metres from Godowlia chowk lies Kashi Chat Bhandar, a dinghy and crowded storefront selling mouth watering chaats (short spicy eats) and fresh sweets (usually Gulab Jamoon and Carrot Halwa). The chuda mutter (peas and flat rice), aloo chaat, papdi chat, Palak chat, mutter chaat and the Pani puri will ensure that you head directly to your room and not the restaurant in the hotel. Have a light lunch to ensure a heavy evening snack….Malaiyo is another morning delicacy which one must savor in the winter months. Once you are done at the Kashi Vishwanath temple walk back to your vehicle or meeting point via Kachori Gully and drop in at the first shop selling Malaiyo. What is this thing? It is milk that is frothed overnight in winter and is mixed with saffron, sugar and pistachios. Me and my daughter went mad eating this stuff…. The list never ends. Breakfast of Pooris with potato curry, kachoris and Jalebis are extremely popular in Varanasi. Walk in to Madhur Jalpan near Kodai Chowki to sample the above. Watch the preparation and dig in to a few plates. More popular haunts with familiar sounding names – BurgerKing; No, not the ones we are used to but a BurgerKing which is a vegetarian delight. Try the Sattu ke Parathe (Pancakes made from a protein rich gram flour) and a plate of kadhi pakodi with Rice (friend gram balls in a buttermilk gravy); Absolutely delicious. 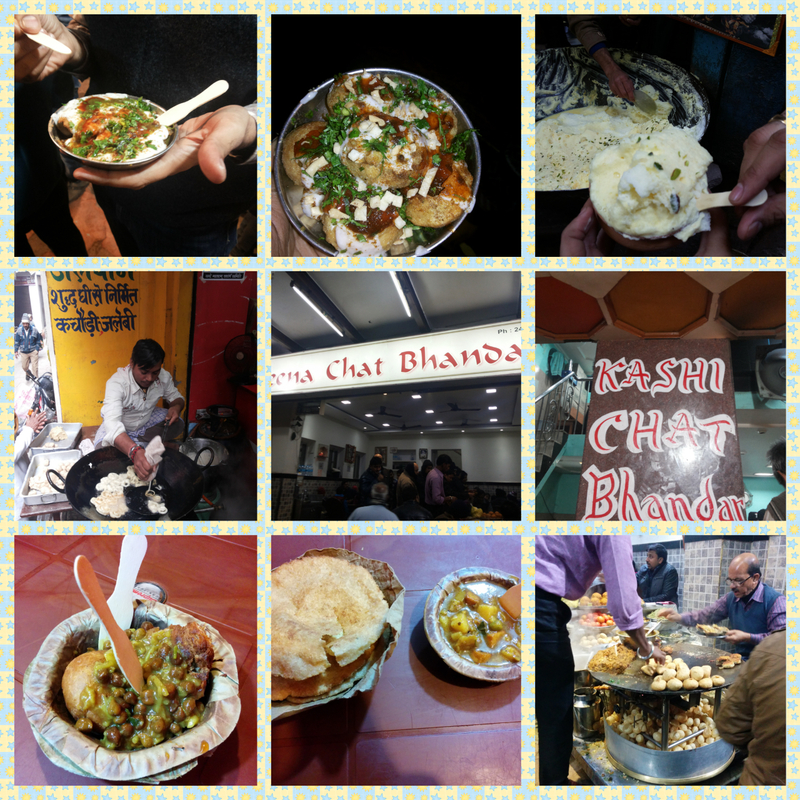 As said again, savor these small helpings and reserve yourself for more chaat haunts. Deena Chaat Bhandar is located just about 250 meters from Godowlia chowk. The huge cast iron frying pans constantly simmer with delicious potato patties, chholey etc., The service is swift but finding a seat may take some time. Don’t miss the pani puri at Deena and nourish yourself with some hot gulab jamuns towards the end. Hygiene takes a backseat so carry your own water when in these restaurants. Finally, as a tribute to the traditions of this city, The Taj Nadesar Palace (10 rooms only) serves the Satvik Thali, a thali which consists of dishes made without using Garlic or onions. Savor the food and enjoy the Taj Hospitality. As we made our way back to the Babatpur airport, we feel like sparrows being pulled by gentle strings back to Varanasi. We promised ourselves to be back in varanasi. The Kashi Vishwanath temple, one of the 12 jyotirlingas (object representing the Lord Shiva) is a famous temple dedicated to Lord Shiva located on the western banks of the Ganges. The temple opens its doors at 4 AM and stays open till 11 PM. Many narrow alleys lead to the doors of the temple. The most prominent access is by getting down at Godowlia chowk and walking straight to the entrance situated on the road to the ghats. Many shops line this narrow alley called Vishwanath gully where you can indulge yourselves in trinkets, small idols, bangles, items for worship and other curios…..Prior to visiting the Vishwanath temple, the devout make it a point to offer salutations at the Kaal Bhairav temple, Bhairav being a more ferocious form of the Lord Shiva. Many get a black band tied on their hands or around their necks after the priest waves a few peacock feathers and utters a few lines of a prayer. This, many believe is said to keep evil spirits at bay. Security is quite stringent and one is expected to keep all valuables like phones, purses and any jewelry with a trustworthy person or the hotel locker before heading out. There are plenty of pujaris (priests) aligned with the shops lining the gully, who will take you to the temple for a fee and help you conduct your prayers. The shops are the last point where one can have their shoes or slippers on….Hygiene is ok and improving by the day so, stay positive and enjoy the experience of traversing the gullies and the temple. The Gyanvapi mosque built in the year 1664 CE by the Mughal Emperor Aurangazeb is said to have come up in the place of the original Kashi Vishwanath temple. Security remains strict near the mosque and no photography is permitted. Walk along the streets lining the mosque and you will get to see a lot of Muslim artisans and craftsmen selling sarees, dress materials and other local handicrafts. Early morning or twilight is the best time for a boat ride on the ganges. Hire a paddle boat or a motorized one to enjoy the sights and sounds of the Ghats. The gulls flock by the dozens and they are fed a diet of puffed rice….we still hope they continue to fish! A paddle boat ride for a couple of hours for 3 – 4 people should cost you about 400 – 500 Rs and i think it is a wonderful way of enjoying the ghats….slow….and if the boatman pitches in with a song for the ride, its double delight…. Varanasi, also known as Benaras and Kashi as the locals lovingly call it, is one of the oldest living cities in the world. Since 2014, It is being represented in Parliament by India’s Chief Executive – Narendra Modi. Fall, Winter and early spring (October – March) are the best seasons to head towards Varanasi. The city has convenient connections by Air from New Delhi, Mumbai, Kolkata and Khajuraho. All of India’s major airlines – Jet Airways, Indigo, Spicejet and Air India fly in to Varanasi. We booked ourselves in to an Indigo air flight from Mumbai, reaching Varanasi in time for a 12 noon check in. Our land package was planned by Narmada Holidays. The airport is a good 45-60 minutes away from the main city and the roads pass by the country side of Eastern Uttar Pradesh. Our stay was at Rivatas by Ideal. A well equipped 4 star hotel and apart from Rivatas, there are other options like Radisson and even Heritage options like Taj Nadesar Palace and Suryoday Haveli. Our lunch was simple fare in the in-house restaurant, Ocean. Try the Indian breads (Roti), spinach and cottage cheese based gravy, lentils and Rice; Winter brings in the freshest of fruits and vegetables and it pays to try the season’s freshest. Lunch done, it was time to head out towards the Ghats situated on the banks of the river Ganges. Varanasi infact derives its name from the merger of rivers Varuna and Assi. There are plenty of options to get to the drop off point at Godowlia Chowk. You can hire an auto rickshaw costing approximately between 50 and 70 Rupees or a tri cycle rickshaw which pedals you for approximately 30 – 40 Rupees. If you have hired a cab for your transportation needs, the cabbie or the guide will drop you off at this junction (Godowlia Chowk). Have fun as your transportation takes you through a cantonment area, below a railway under bridge, mosques and other places of worship, busy streets selling clothing, utensils, electronics, sweets and savories, milk based products and of course numerous restaurants. Mark the spot where your transportation drops you in case you are doing the rounds of the ghat all by yourself. Soak in the chaos of the junction, feel the humanity surge in to you, hear the policeman shout in to the microphone asking erring cabbies and vehicle owners to give way, urging people to wear their helmets and what not…. The road leading from the chowk down to the ghats are vehicle free (not entirely as bi-cycles are allowed). Don’t be under the assumption that you can swing your arms and enjoy a leisurely walk. The roads a chock-a-bloc with people and you will need to be swift and be able to maneuver yourself for the next 0.5 mile. Before you head in to the ghats don’t forget to sip a hot cup of tea, served in a mud cup. Hot and mildly spiced, you are definitely not going to stop with one. Costs all of 5 – 6 Rs. 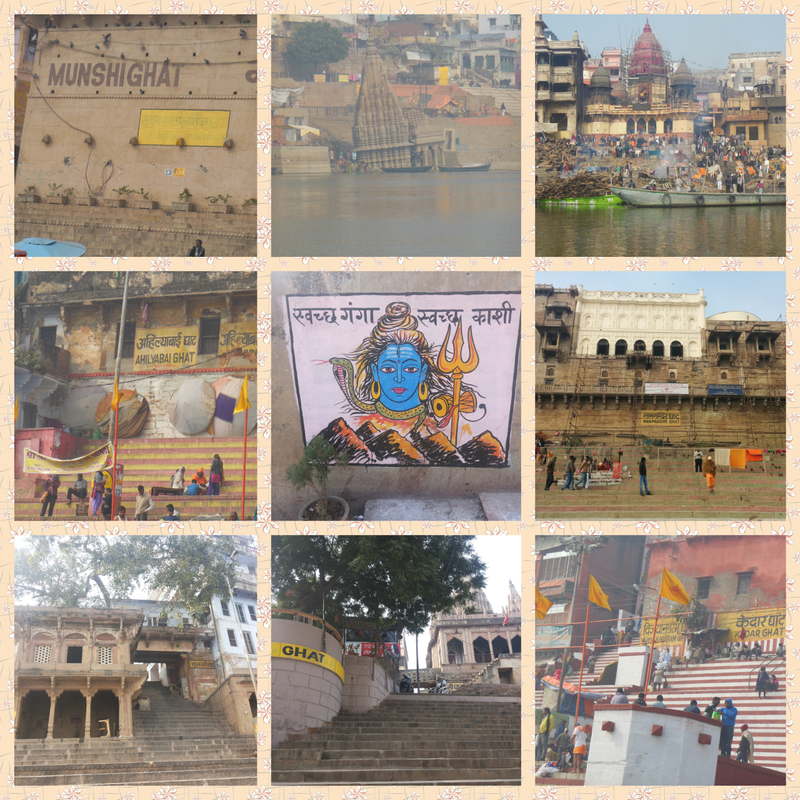 There are 87 ghats in Varanasi and each one of them was built by India’s former princely state leaders. Each Ghat was a donation to help pilgrims conduct their religious rites and offer a place to stay. Families chose Varanasi to perform the last rites of their near and dear as it is believed to offer complete salvation for the soul. Dashashwamedh ghat is the most splendid ghat in Varanasi and plays host to the famous aarti to lord shiva, sun god, river ganges and the fire god. Priests pray every evening to the Holy river with hymns running in the background. This elaborate ritual starts every evening towards twilight. Get in early, find a good seat – either on the steps behind the priests or on the boats in front of the priest. Bargain for your boat seat with the boatmen. The aarti ritual mesmerizes you for more than an hour. There are free lance photographers who offer you instant prints at nominal prices. The evening draws to a close as guests head out to roam around the narrow streets around the ghats. The streets are crammed with curio shops, sweet shops and interesting international eateries. 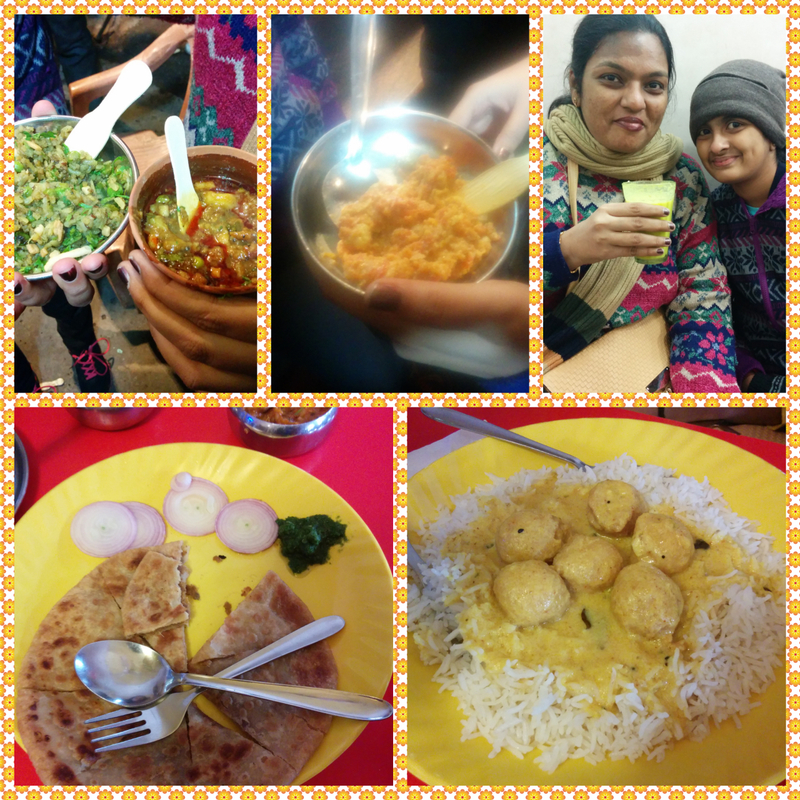 Evenings are reserved for the best of Varanasi food….Part 2…. The Journey matters as much as the Destination…. 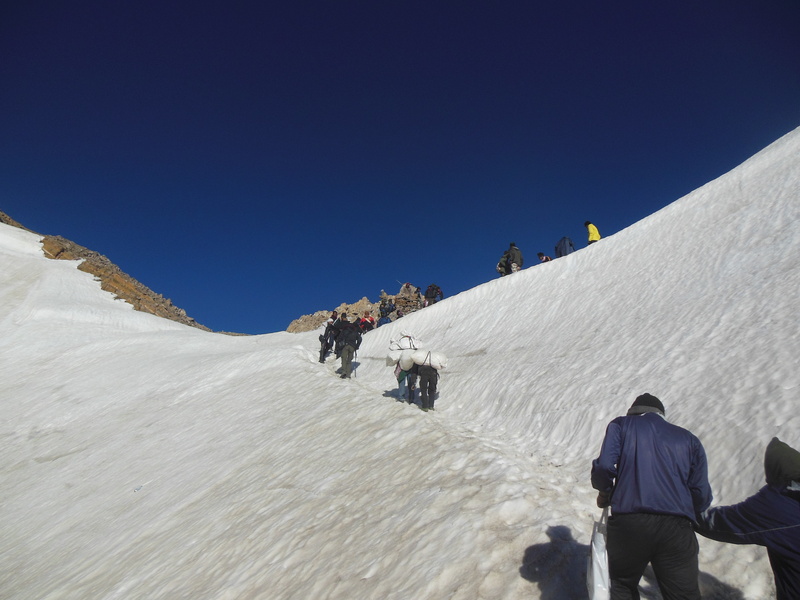 The Kailash Manas piligrimage is the journey of a lifetime for people from all faiths – Hindus, Jains, Buddhists and a Tibetan religious sect called Bon’s. 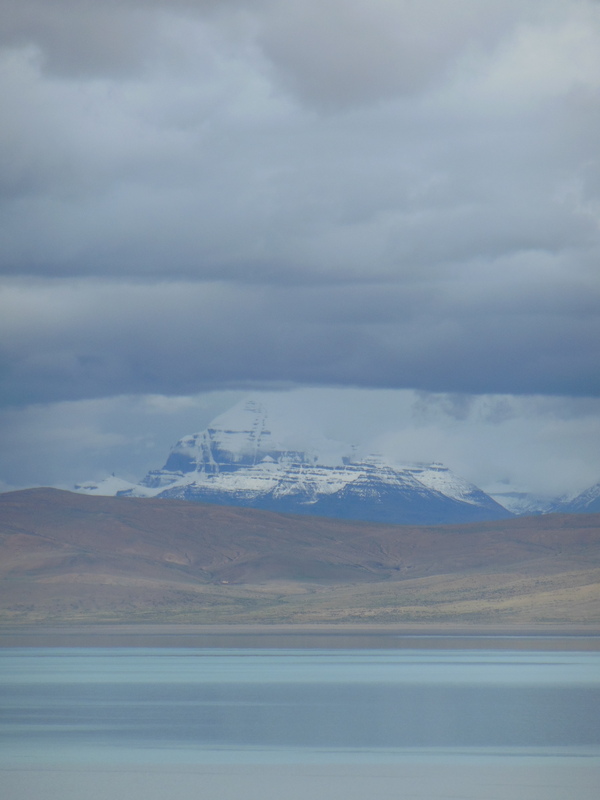 Located in the Transhimalayan region of Tibet, Mount Kailash and Lake Mansarovar pilgrimage is a tradition dating back to over 1000 years. 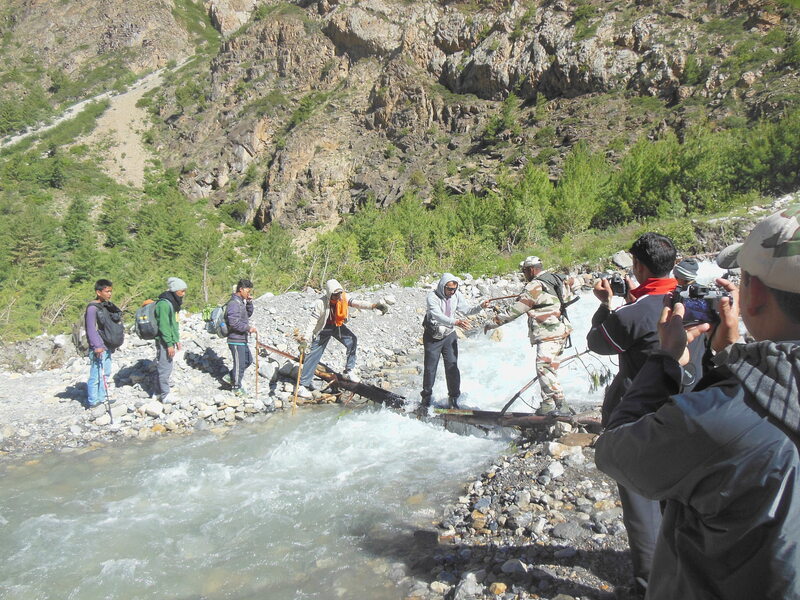 The traditional route from India takes the faithful through some rough but extremely beautiful and picturesque terrain of Uttarakhand and in to Tibet via the Lipulekh pass. 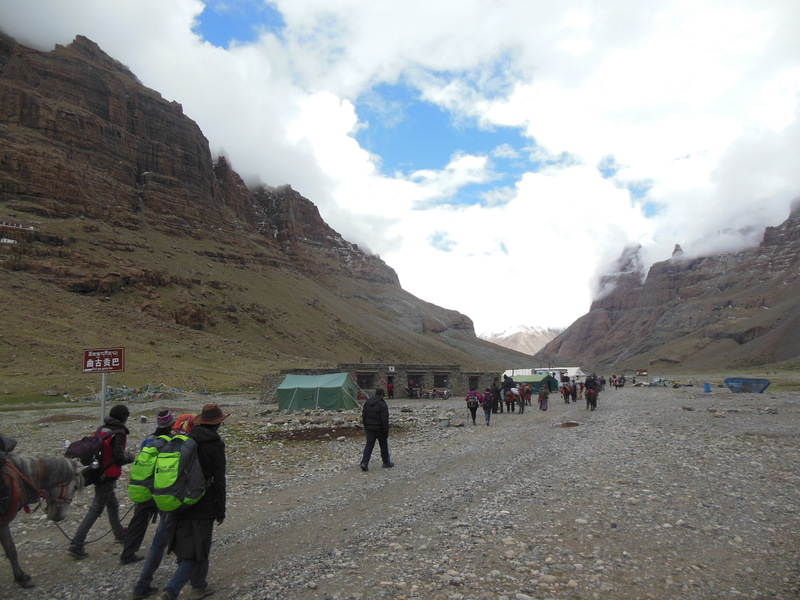 Over 200 kms of this terrain still has to be traversed on foot; This includes 52 kms of circumambulating the Kailash Mountain. This is where one begins to realise the importance of the journey and what one undergoes in the process of reaching the destination, and most importantly returning safely. A journey of this nature provides a great opportunity to reflect. This amazing journey provided a lot of insights in to nature and people around us. Yes, it mattered as much as the destination.